If you’re reading this it’s because you’re interested in starting a profitable blog right? You want to use your voice to help others, make money from your passions and inspire others along the way. But, you aren’t sure where to start. Or, maybe you’re overwhelmed by the whole process. In fact, it took me 3 years of wanting to start a blog (and researching how to do so) before I mustered up the courage to create my own. At the time I figured that if I don’t start now, a year or so down the line I would regret it. And honestly, starting a blog is one of the best decisions I’ve made! Being able to share your passions with the world and get paid for it is a beautiful thing. I can work from anywhere, on my own time and have complete control over my content. And, on top of that, I was able to quit my 9 to 5 to focus on doing what I love. Anyone can make money from their blog and change their life, but it’ll take some hard work and determination. 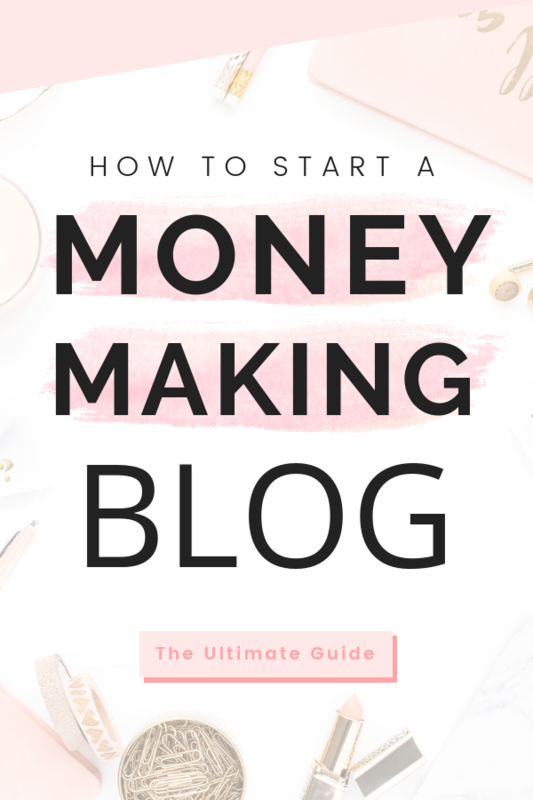 Blogging is not a get rich quick scheme and definitely takes time but it’s totally worth it! Not only is it completely doable, but I am confident that you will see huge rewards if you’re willing to learn and stick with it. 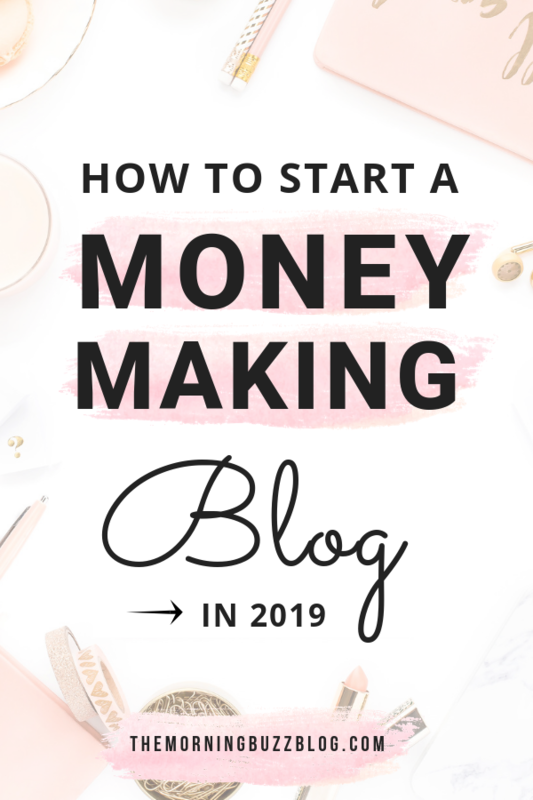 So with that being said, keep reading to learn my simple 6-step strategy to create your very own money-making blog. In order for your blog to be successful long-term, you’ll need to determine its purpose. If you don’t know the who, what or why – who your blog serves, what it’s about and why you’re creating it – than you’ll be disorganized and your blog won’t get anywhere. I honestly believe the reason my blog grew so fast is because I got all of this clear and laid out from the very beginning. What are your long-term plans for your blog? 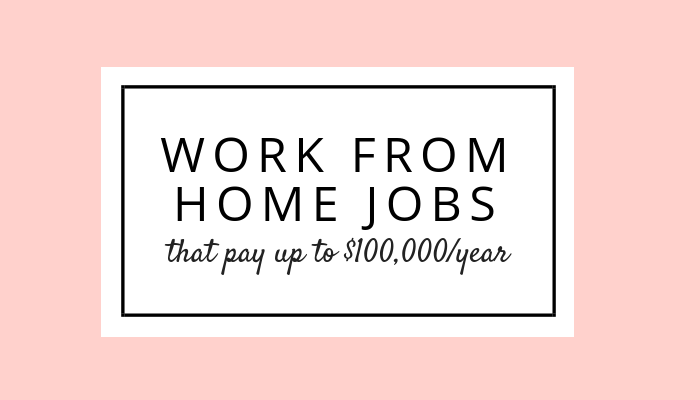 Do you want to turn it into a business and leave your 9 to 5? Do you want to connect with others who share the same passions as you? Do you want to achieve financial freedom? Do you want to help and motivate others? Having a plan lined out for your blogs future is so critical for its success. 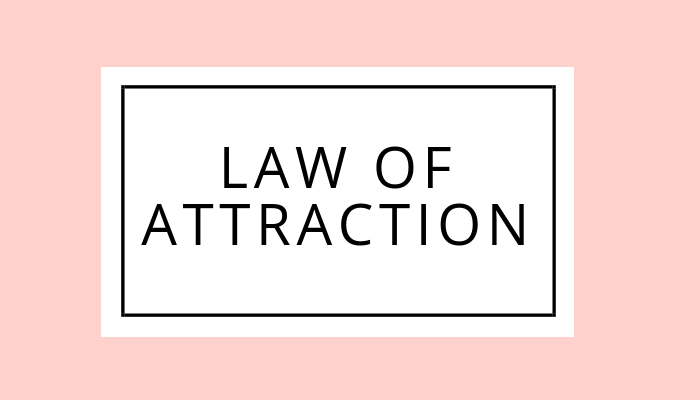 Not only will it give you direction and keep you organized, but it’ll allow you to reach your goals quicker. You don’t need to have it all figured out from the start. Your plans will change over time, and that’s okay! But you do need to spend some time getting clear on your blogs vision. Building this solid foundation now will serve you well into the future. If you want to start a blog, you have to find a topic (AKA niche)! This is the foundation of your blog. A lot of bloggers out there will tell you that you need to find one niche to focus on, but as you can see, I didn’t really follow that advice. I could list many blogs that are multi-niched and successful – Chasing Foxes, Making Sense of Cents and Thirteen Thoughts, to name a few. 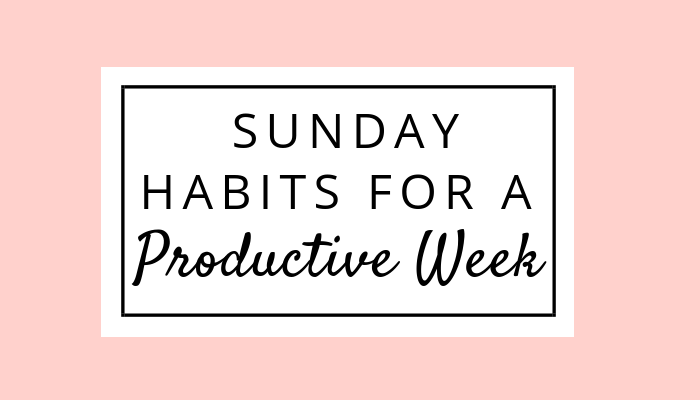 On my blog you can find anything from blogging tips to career advice, finance, personal growth, college and everything in-between. I think sticking to one topic can make you burnt out really fast if you are multi-passionate (like me). Your blog should be focused on topics that you enjoy. But with that being said, I also think your blog needs a focus, or something that ties it together. If there is no unity, then your blog is going to be a complete mess and your audience is going to be confused on what it’s about. On top of that, you won’t know how to cater your products to the right audience because your content is all over the place. So if you decide to have multiple niches, just keep your blogs focus in mind and you should be good. And, if you’re stuck on finding a niche (or niches) then here are some questions you can ask yourself to get started. What’s one topic that sets your soul on fire? Is it something you could talk about for hours? Could you write about it for long periods of time? Look back at your hobbies and find out what you enjoy. You could also do what I did and start off with multiple niches, then niche down once you find the main topics you’re truly passionate about. Is there a demand for my niche? Although I preach that you should write on what you’re passionate about, it’s also important to think about how popular your niche is. If your niche is too specific or no one is searching for it, like underwater basketweaving, then you probably won’t get much traffic. To find out if a niche is in high demand or not, I’d suggest checking facebook first. Just go to any groups you’re in and type your niche in the search bar. If there’s a lot of talk surrounding it, then you know it’s a good niche. Think back to the topics that motivate you and inspire you to be the best you can be. For me, that’s personal growth and blogging. They’re topics I’m always reading about and improving on, but for you that might be something else. Most likely, the topics that inspire you are the ones you’ll write about the most. Think for a moment about who you’re going to serve and what kind of services you’ll offer. 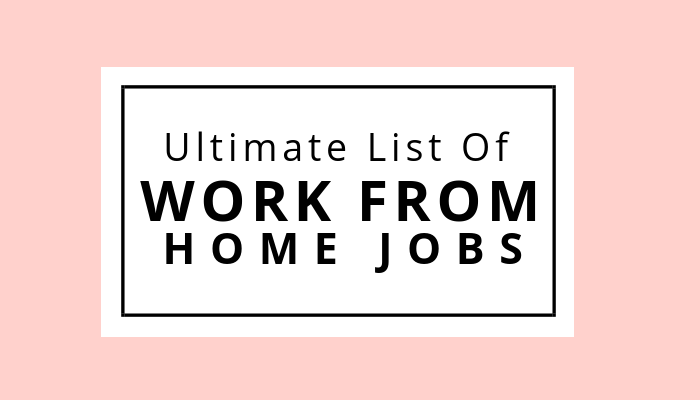 Are you going to help moms start a business, bloggers grow their income, millennials gain financial freedom, etc.? When you don’t know who you want to help, you’re not going to know what products to create that’ll appeal to them. So try to get super clear on your target audience. This is the driving force behind your blogging biz (and it’ll make everything SO much easier in general). And once you do this, you can move forward to the next step with confidence. What do you want to name your blog? You could simply call it your name or use inspiration from life. My blog is named after the buzz that coffee gives you in the morning. I thought of a bunch of friends getting together and talking about life over a cup of coffee, which is the feeling I want my blog to represent. Writing down a list of words that describe what your blog is about will help you narrow down a name. For example, if your blog is a beauty blog, you might want the words “beauty,” “beautiful” or “style” in the title. Overall, choose a name that represents your brand and that you love. Just try to make it short and easy to remember! Other than that, I don’t think there’s a right or wrong way to choose a name. This is a very important step! If you’re serious about blogging as a business and want to actually own what you create, than I suggest going with a “self-hosted” platform like wordpress.org. Free “hosted” platforms such as wordpress.com, wix and blogger have so many limitations it’s maddening. For one, you don’t even own what you create, there are very few customization options, you can’t use plugins (they’re basically like apps for your blog) and it’s almost impossible to make any money. I’ve heard horror stories of people whos blogs randomly got deleted or crashed constantly with free sites. But, by buying a self-hosted platform, you have complete control over your site, meaning you can monetize and customize it to you hearts desire. Now, with a great blogging platform, you’ll also need a great host. It can be hard to differentiate the between the two, so think of your platform as the structure of your house and the host as the property that you place your house on. My favorite hosting company that I genuinely recommend and adore is Bluehost. When I first started The Morning Buzz, I was on the hunt for a super reliable and affordable hosting company and Bluehost is one of the best out there! I’ve never had a single issue with them, even with my blog traffic growing quickly and their customer service is excellent! They’re always going out of their way to help me with any problems I have! Chances are you’ll have a few questions in the beginning of your blogging journey. And, that’s okay! Bluehost has fantastic tech support and will help you with your questions at any time. I usually use the chat box on their site, but sometimes I’ll give them a ring and they always solve my problem within a couple of minutes – talk about fast! This was sooo refreshing for me when starting out. No need to fumble around with complex codes to install your site – Bluehost does it for you in seconds with the push of a button! When I first started The Morning Buzz, affordability was my top priority in choosing a hosting company (broke college student here) and Bluehost delivered! In fact, Bluehost is offering special pricing for The Morning Buzz readers so you can start your own blog for just $2.95/month! 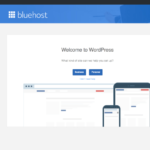 WordPress through Bluehost is FREE! 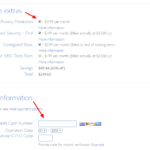 As you can see, Bluehost has a lot of great features for blogging newbies. Not only are they reliable and secure, but they offer great support that you probably won’t get anywhere else for the price point. So, are you ready to get started? Follow this quick tutorial and you can get your blog up and running in 10 minutes! Before we begin, make sure to head over to Bluehost.com, then come back to this tutorial and follow along! Go to Bluehost.com and click the green “Get Started Now” button. 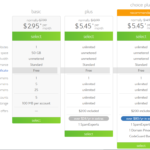 Bluehost has three basic plans to choose from: Basic, plus and Prime. I suggest new bloggers start with the basic or plus plan. 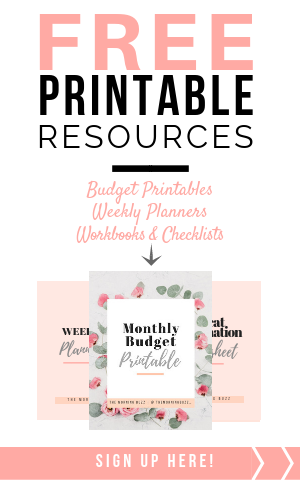 If you plan on sticking with one blog for awhile, the Basic plan is perfect for you. And, if you use my special link, you can save up to 60% off the regular price! This is where you’ll want to place your chosen blog URL (the name people will type in the search bar to find your website). It’s what people will remember you by and what sets you apart from others, so try to keep it short and simple – no hyphens, numbers or symbols and stick to .com if possible. Also, make sure it’s a name that’s not taken by other blogs or social media sites. 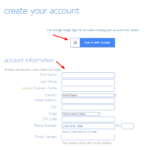 When you get to this page, you can use your existing domain name or pick a new domain name. Type in your sites name below and check to see if it’s available. 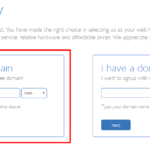 You can choose your domain extension like .org, .net or .online, but .com is always the best option if possible. I had to choose themorningbuzzblog.com because themorningbuzz.com wasn’t available, so try different variations until you come up with a name you like. Next, you’ll choose your package of 12, 24, 36 or 60 months. If you want the best performance for your site and the most bang for your buck, then I’d suggest going with the 36 month plan. It’s the one I use and is the most affordable long-term option at only $2.95/month. The only option that I recommend you keep is the Domain Privacy Protection because it hides your personal information from unwanted visitors. Congratulations, you now have hosting for your blog – woohoo! 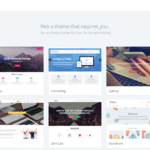 Now that Bluehost has installed your WordPress site for you, all that’s left is picking a theme. Just choose a default theme for now. Don’t worry about how it looks because we’ll change it to a better one later. Once you’re in, you’ll see the WordPress dashboard where you get a behind the scenes look of your website before it launches. This is where you’ll write posts, monitor comments, change settings, modify your design and much more! If you aren’t familiar with WordPress, then I’d suggest spending some time clicking around and getting used to where everything is. It shouldn’t take you too long to get the hang of, but if you do get stuck then there are a ton of Youtube tutorials you can watch. 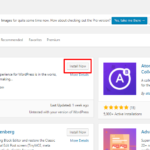 WPexplorer.com also has a great guide on the WordPress Dashboard that covers everything from installing plugins to changing site settings. Sidenote: If you ever get stuck throughout this whole process, don’t be afraid to reach out. I’m happy to help! Congrats – your blog is officially set up! Woohoo! Give yourself a pat on the back. Now that your platform and account is all set up, it’s time for my favorite part – choosing a theme! 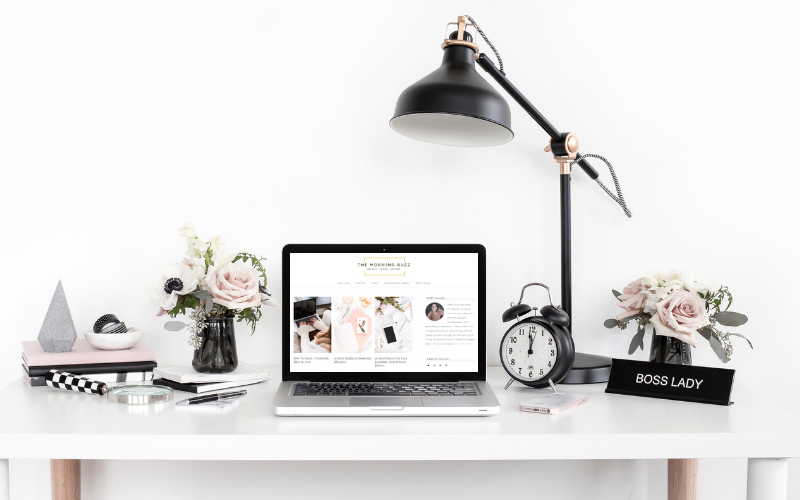 If you want your blog to have a professional look and feel to it, you’ll want to get a theme. Luckily it’s super easy to do and requires no coding knowledge. Hire a developer to design a custom website for you: This is often very expensive, but if you have the funds, I’d say go for it! Choose a free or premium WordPress theme: While WordPress has a ton of themes to choose from, they are often overused and limited design-wise. Purchase a pre-made theme from a third party: This is the most common option and one I’d recommend. There are millions of pre-made themes out there with unlimited design options so you can customize your site to your liking. Restored 316 – Where I bought my theme from. They offer gorgeous feminine themes for a great price and have an amazing support team that’s ready to answer any questions you may have. Themeforest – A huge marketplace full of WP themes with endless customization options. Note: If you go with this option, make sure you’re purchasing from a reliable seller that has good ratings. You don’t want to end up with a site full of coding errors or have a theme work great for 5 years only to find that it stops working because the developer no longer supports it. Pretty Darn Cute Designs – Beautiful and girly wordpress themes with lots of features. Hello You Designs – The ultimate collection of chic and stylish feminine themes. If there is one thing I’d do differently when going through this process, it’s to not spend sooo much time choosing a theme. Go with one that’s affordable and best represents your brand and stick with your decision. If for some reason you don’t like the theme you chose, you can always change it later. Once you’ve purchased a theme, its time to download the theme files and install them to WordPress. I promise it’s really easy! After you’ve purchased your theme, the files will download to your computer in a .zip folder. 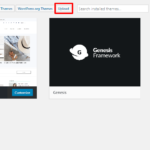 To upload them to WordPress, all you need to do is go into your WordPress dashboard, click the Appearance tab and go to Themes > Upload or Add New Theme > Install > Activate. If you aren’t familiar with what plugins are, think of apps but for your website. They add extra features to your blog to help it perform better. Akismet – As a new blogger, you’re going to get a ton of spam comments. I know from personal experience. Luckily, all you have to do is install Akismet and you’ll never see a spam comment again – seriously! It’s that good. Yoast SEO – This plugin is a must-have for all bloggers! It helps your posts be better optimized for SEO so Google search engines can rank your site higher in their search results. Ultimate Social Media Icons – This plugin allows you to put social media icons anywhere on your site (I put them in my sidebar) and it has tons of customization options! WP Super Cache – If you want your site to load faster, then having a caching plugin is a must! My site speed has improved a lot since installing WP Super Cache. Disqus – This is the best commenting system in my opinion. I like that it has a lot of features to help encourage more engagement and it allows visitors to log in through a variety of methods. Social Warfare – This is the most straightforward, simple, yet powerful social media plugin out there. I mainly use Social Warfare to place social media icons at the top of each post, but it has so many additional features lik in-depth analytics, social count recovery, campaign tracking, link shortening, and much more! Broken Link Checker – This plugin is another must have for any site! If you have any broken links, this plugin notifies you and gives you the ability to fix it. No more pesky 404 errors! Woo Commerce: If you plan on having an online shop on your site, this plugin is your go-to. A lot of these plugins will come pre-installed on your site. But, if there are any extra ones you need to install, my tutorial below will show you how to do just that. Luckily WordPress makes installing plugins a breeze. Go to Plugins > Add New. You can search for different plugins in the search bar or upload ones already saved on your computer. Once you’ve chosen a plugin, click on Install Now > Activate. Whew! That was a lot of information to soak up. The biggest piece of advice I can give new bloggers is to not let fear of failure or uncertainty hold you back. Remember that indecisiveness kills progress and is the biggest time waster. If you want to start a blog now, then the best thing I can say is to just do it! If you really think about it, the worst thing that can happen if you “fail” is that you’ll be right back where you started. But, if you succeed? You’ll be SO GLAD you tried. And, of course there will be bumps along the way. Nothing worth going after is without its ups and downs. Even so, never let it bring you down. Remember that everyone starts somewhere. Most successful bloggers you see out there have been doing it for many years, so don’t give up! Also, take it slow in the beginning – baby steps. It’s easy to get overwhelmed with information overload and end up burnt out before even getting started. Remember, slow and steady wins the race. You don’t need to know how to do everything right off the bat. Complete steps 1 through 4 now, take a break, and figure out the rest later. Like I said before, starting a blog is the best decision I’ve ever made and if I would’ve let all of the “what-if’s” and self-doubt hold me down, I would’ve never gotten to where I am today. If something doesn’t work out right away, you can’t let it mess you up – learn from it and move on! And remember, if you get the basic stuff out of the way now, everything else will fall into place! If you’ve just created a blog, let me know what kind it is in the comment section below. What are you blogging about? I’d love to know! And if this post helped you learn something new, please share it with your friends! A great step by step how-to post for beginners. Useful links – especially to the feminine themes. These are surprisingly difficult to find unless you’re looking in the right places. I’ll have to agree and say Yoast is an essential plugin, especially if you want your Pinterest pins to be rich pins. It’s activated by default, so if you download the plugin and activate it (recently) you’re already setup for rich pins! Great post. As a male blogger, which kind of theme will you advice?